You are invited to the Urbano Galindo Exhibit @ Kempinski Hotel Bahía, July 19 - Aug 8, 2018. Brought to you by LuxStyle, Fashion & Luxury Consulting. You can't miss it! Urbano Galindo is a painter, sculptor, poet and mystic. He was born in 1943 and his passion for art has led him to experiment with many different methods - painting, sculpture, decoration and photography. His famous portraits unite both physical and inner beauty, revealed through smiles and looks. 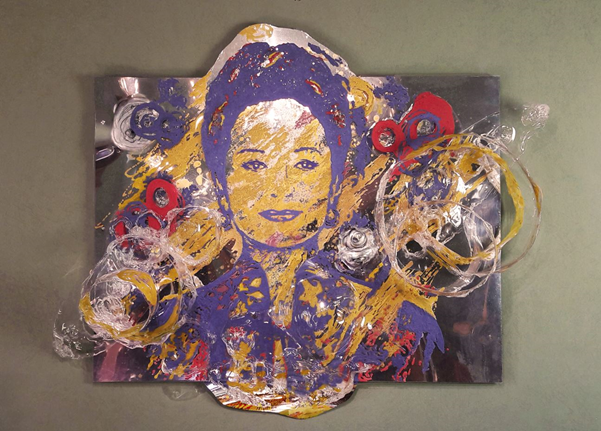 His work has evolved from stunning sepia portraits of the aristocracy in the 90s to the creation of striking works in purple, blue and gold depicting royalty and aristocracy from around the world. Urbano Galindo's sculptures immerse the visitor in the infinite beauty of the Creator, wrapping them in colours and forms, to delight and fascinate. Art is a path and Galindo travels it with the passion of a poet and the vision of a mystic.